Click tabs to advance, and click images to enlarge. 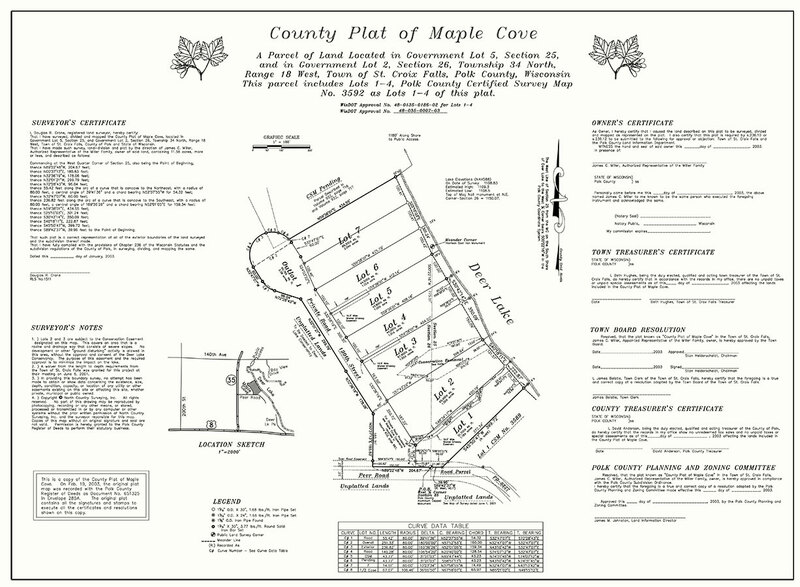 Maple Cove is a subdivision plat used to create new lots. 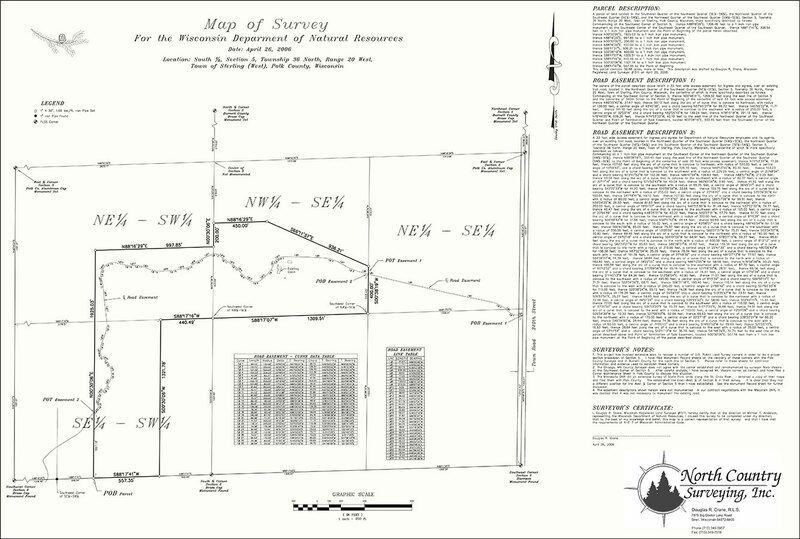 This survey shows a large tract of land in the Gov. Knowles State Forest. 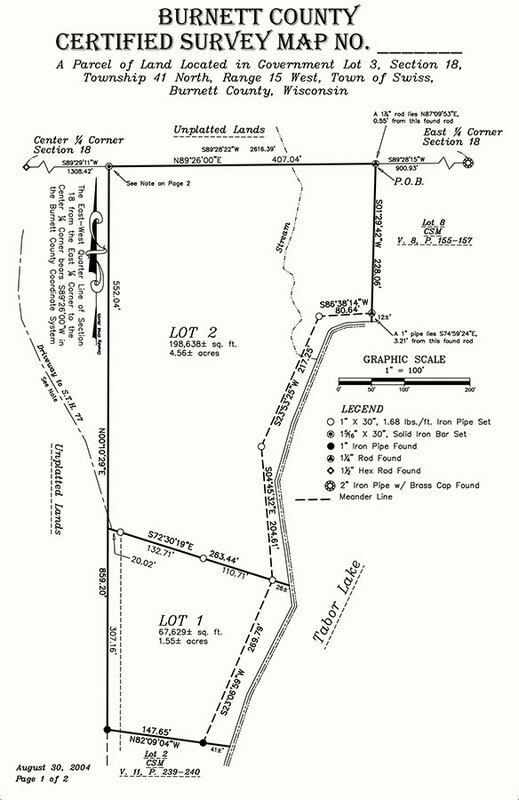 The boundaries were needed along with showing an easement over a trail road. 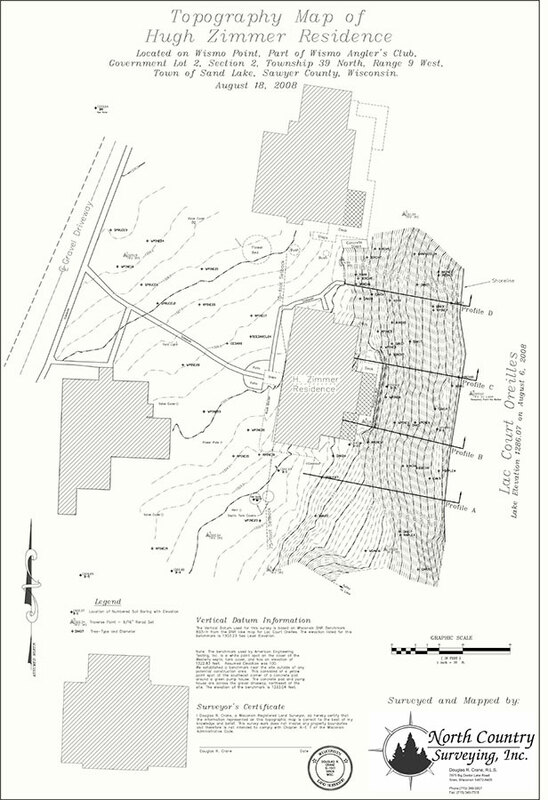 This Certified Survey Map was used to subdivide property into two lots. 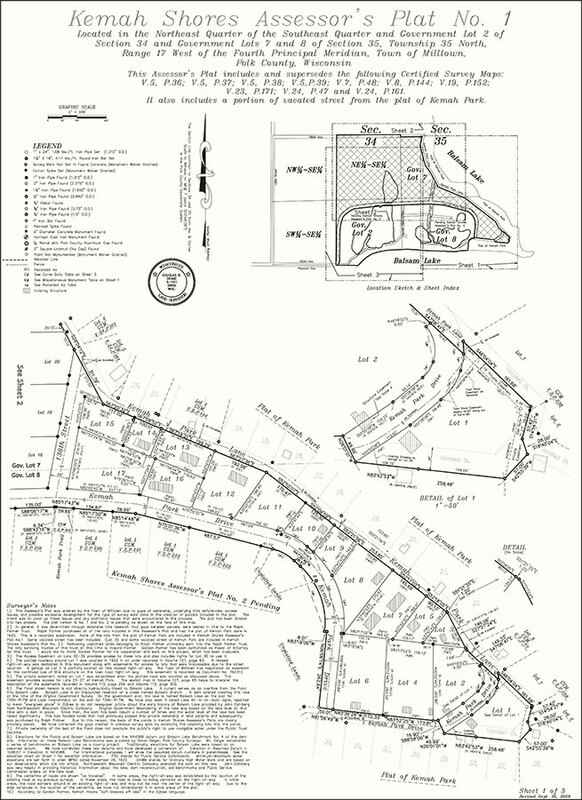 This is a boundary survey of a resort that will be used for planning purposes. This is an ALTA/ACSM Land Title Survey. 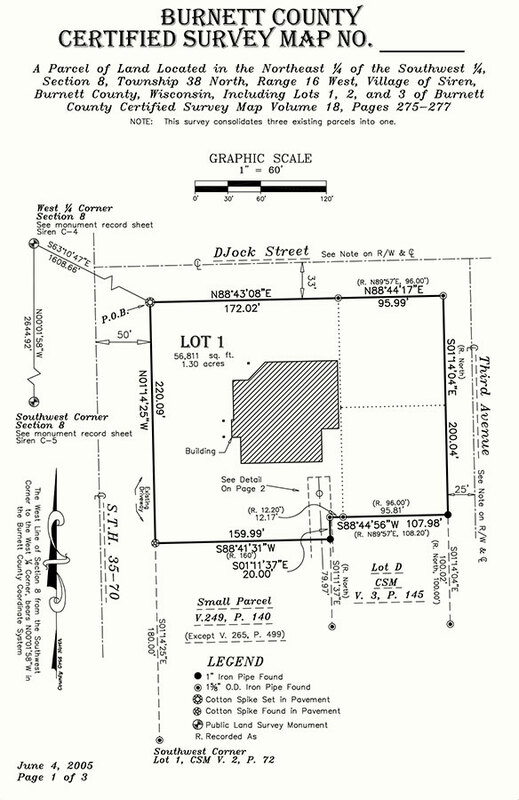 Assessor's Plats are used to resolve boundary and title problems where multiple parcels are involved. 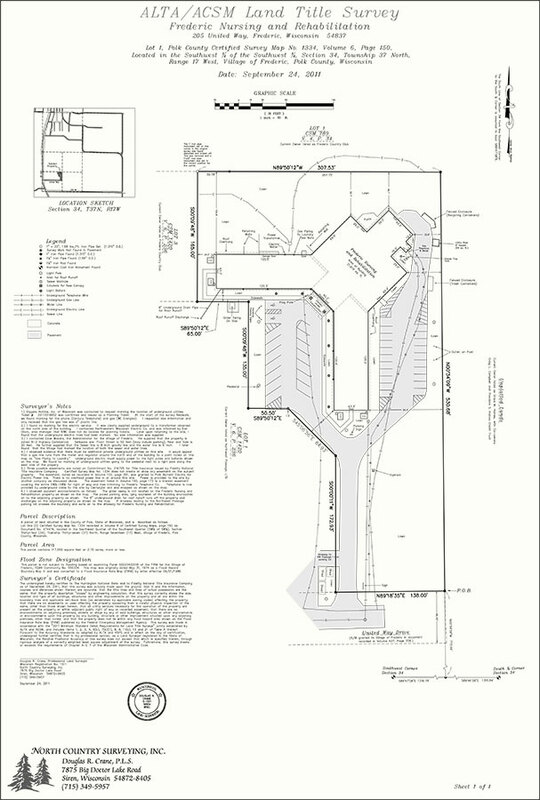 This Certified Survey Map was used to merge several existing parcels together and create a new legal description. 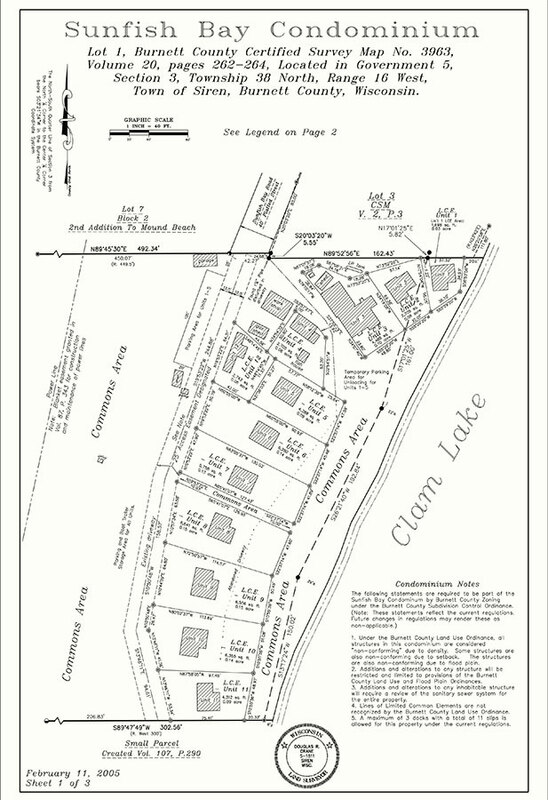 Sunfish Bay Condominium was used to divide up a resort so that individual owners could own the cabins as a unit in the condominium. It was not possible to subdivide the property without removing cabins to have the size necessary for a modern lake lot. In a condominum, land is owned by the Condominium Association which is made up of the unit owners. 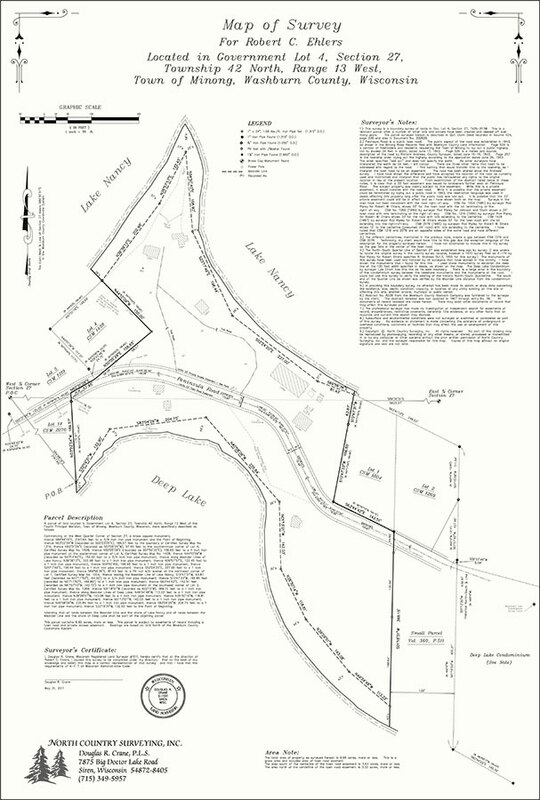 This map shows the topography of the parcel. The information was used by an engineering consultant to counteract slope failure. 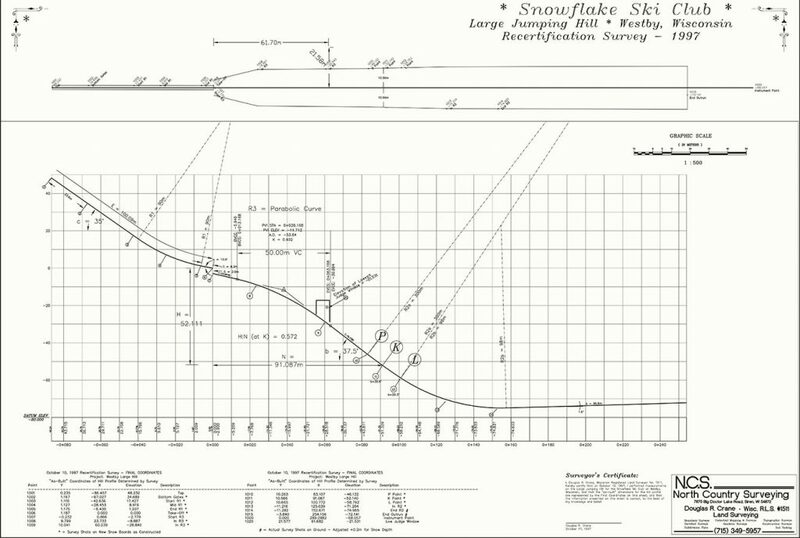 This is a survey of the ski jump hill profile and re-design of the profile. Snowboards were built along the side of the landing slope to grade snow to the proper profile.